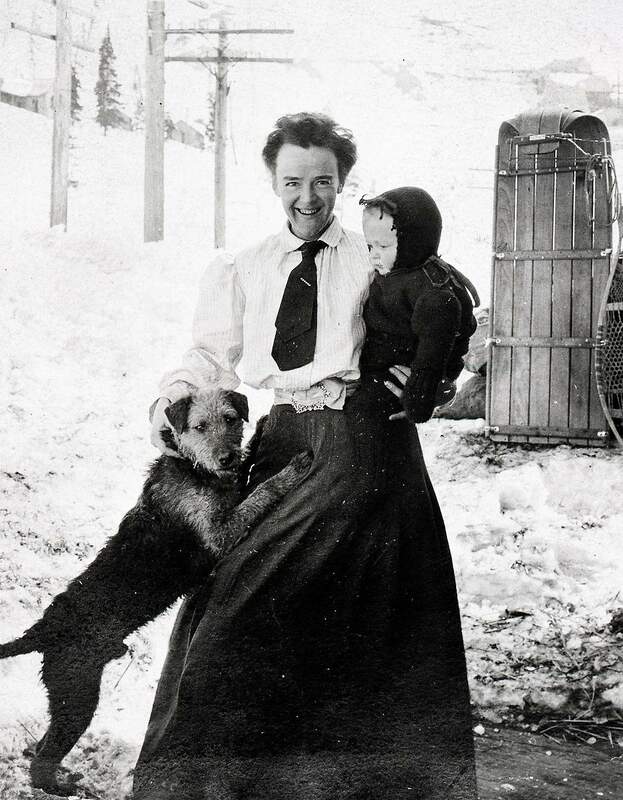 Beth Batchellor, with her son and dog, was one of several women who tried to make a home at the Tomboy Mine, located at 11,500 feet above Telluride. The challenges she, and they, faced are recounted in “Ladies of the Mines,” a production of the Rocky Mountain PBS series Colorado Experience. This photograph of the Smuggler-Union Miners circa 1905-12 show how predominantly male Colorado’s mining camps were. The documentary “Ladies of the Mines,” a production of the Rocky Mountain PBS series Colorado Experience, will be screened in Jan. 12 in Durango. Anne Ellis, picture in this undated photo, grew up in poverty in Colorado mining camps in the late 1800s. 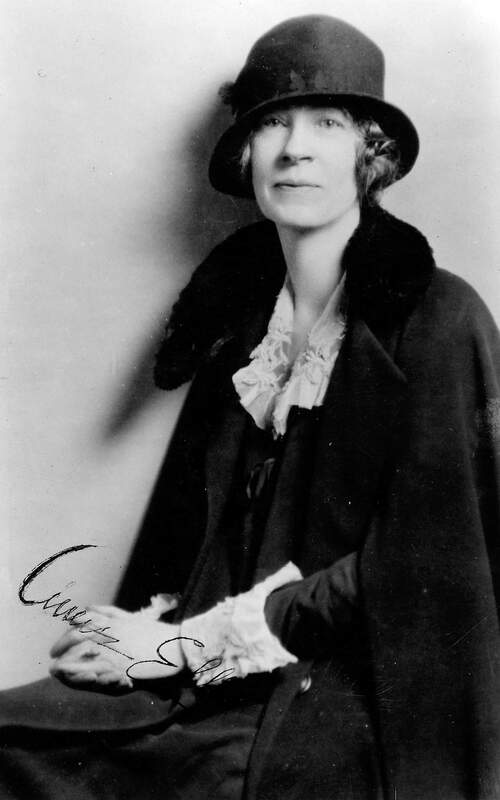 Her papers are in the collection of the University of Colorado, Boulder. Ellis is one of three women profiled in “Ladies of the Mines,” which will be screened Jan. 12 in Durango. 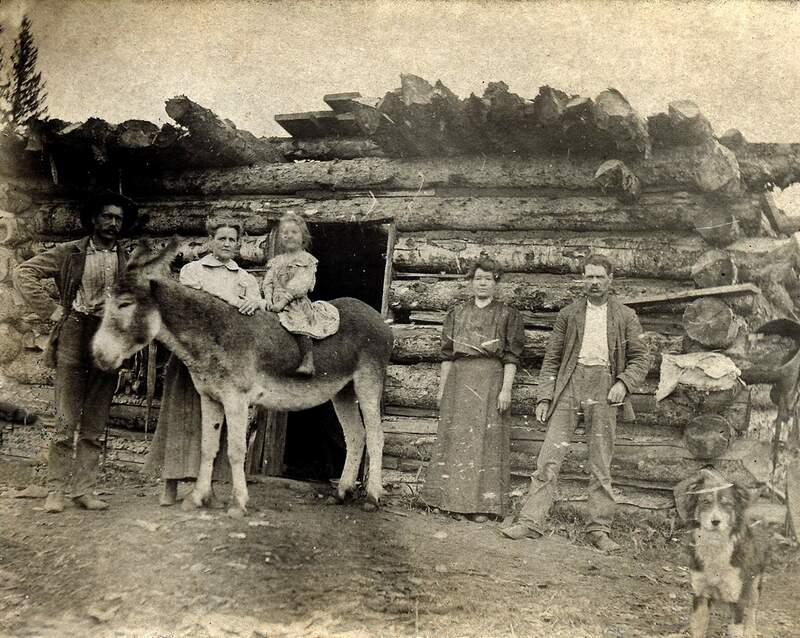 The Feckes family, seen circa 1900, lived at a mining camp in the Telluride area. A documentary called “Ladies of the Mines,” a production of the Rocky Mountain PBS series Colorado Experience, tells the story of what it was like to be a wife or daughter in the camps. A label on the photo says Frank, Minnie, Dorothea Feckes, but does not identify who they are or who the other people are. The Tomboy Mine, located at 11,500 feet above Telluride, was home to 900 hardy souls in its heyday, including several women. Harriet Fish Bacus was one of them, and she is featured in “Ladies of the Mines,” a production of the Rocky Mountain PBS series Colorado Experience. Mabel Barbee Lee, who grew up in Cripple Creek during the Gold Rush, was sent to Colorado Springs for finishing school because her father didn’t want her to marry a miner. Lee is one of three women featured in “Ladies of the Mines,” which will be screened Jan. 12 in Durango. Colorado’s mining camps during the state’s Gold Rush in the late 1800s were no place for a lady. And yet, numerous women and girls lived in the rowdy, rough camps with husbands and fathers who were hoping to strike it rich. The hardships of living in a mining camp from the female point of view is the subject of a Rocky Mountain PBS Colorado Experience episode, “Ladies of the Mines,” which will be screened Jan. 12 in Durango. The topic was suggested by Rudy and Andie Davison, who have homes in Durango and Telluride, in the station’s Viewers’ Choice contest in spring 2015. Among those interviewed for the story were Rudy Davison, a historian and author who sits on the boards of the Telluride Historical Museum and Mining History Association, and Fort Lewis College Professor Emeritus Duane Smith. The episode illustrates the difficulty for everyone living in the camps as well as focusing on the female experience. The project used resources from History Colorado, the Denver Public Library’s Western and Genealogical Collection, the University of Colorado-Boulder, Telluride Historical Museum and the Colorado Springs Pioneers Museum. The Animas Museum, Center of Southwest Studies at Fort Lewis College and the San Juan Basin Archaeological Society are co-sponsoring the screenings, which will include a reception at the start of the evening and a panel discussion with Rudy Davison and the producers afterward. Colorado Experience, in its third season, received more than 100 submissions for the Viewers’ Choice contest. Rodriguez-McGill and Executive Producer Julie Speer winnowed them down to six finalists, which was a tough task, they said. Viewers were asked to vote for their favorite of the six. The other finalists were Caribou Ranch, the studio near Nederland where scores of famous musicians and bands such as Michael Jackson, Elton John, Chicago and Earth, Wind and Fire recorded; the first sheriff in El Paso County, Rankin Scott Kelly, who captured Big Tooth Jim, also known as “The Terror of the Rockies” after he killed 35 people; the Big Thompson Flood; the KKK in Colorado; and George Gallious Ross, Colorado’s first African-American lawyer who challenged the state’s Jim Crow laws. Speer and Rodriguez-McGill were so taken by Kelly’s story that they made an episode about him even though the topic didn’t win. And they may return to Durango in a future season to work on the KKK involvement around the state. But for now, the focus is on the women who braved the harsh conditions of Colorado’s mining communities. Lee eventually graduated from Colorado College and became its dean of women before she went on to be the admissions director at Radcliffe and Bennington colleges. But when she retired, Lee returned to her roots in Cripple Creek, perhaps because no matter how tough life was there, it was still home. The Feckes family, seen circa 1900, lived at a mining camp in the Telluride area. “Ladies of the Mines,” a production of the Rocky Mountain PBS series Colorado Experience, tells the story of what it was like to be a wife or daughter in the camps. A label on the photo says Frank, Minnie, Dorothea Feckes, but does not identify who they are or who the other people are. Jan. 12: 6 p.m. reception, 6:30 p.m. at the Vallecito Room in the Student Union at Fort Lewis College in Durango. Jan. 13: 6 p.m. reception, 6:30 p.m. at the Sheridan Opera House, 110 N. Oak St., in Telluride. Both screenings will feature a panel discussion afterward including Colorado Experience series Executive Producer Julie Speer, the episode’s director and writer Mariel Rodriguez-McGill and Rudy Davison, who suggested the subject in the Viewers’ Choice contest. The episode will air on Rocky Mountain PBS at 7 p.m. Jan. 14. To learn more about the episode and Colorado Experience, visit www.rmpbs.org/coloradoexperience. Beth Batchellor, with her son and dog, was one of several women who tried to make a home at the Tomboy Mine, located above Telluride at 11,500 feet. Anne Ellis grew up in poverty in Colorado mining camps in the late 1800s. Her papers are in the collection of the University of Colorado-Boulder. Ellis is one of three women profiled in “Ladies of the Mines,” which will be screened Jan. 12 in Durango.